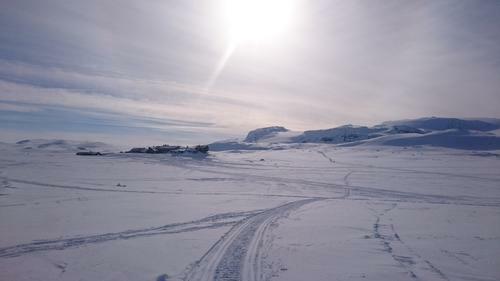 Finse is a perfect place to go cross country skiing. The snow lasts untill the end of May. 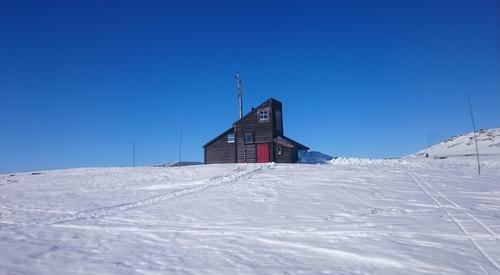 The routes are marked with sticks, and goes in direction to other cabins, like Krækkja, Hallingskeid and Geiterygghytta. Finsehytta is nicely located to start a cabin to cabin tour, as the train station is so close. 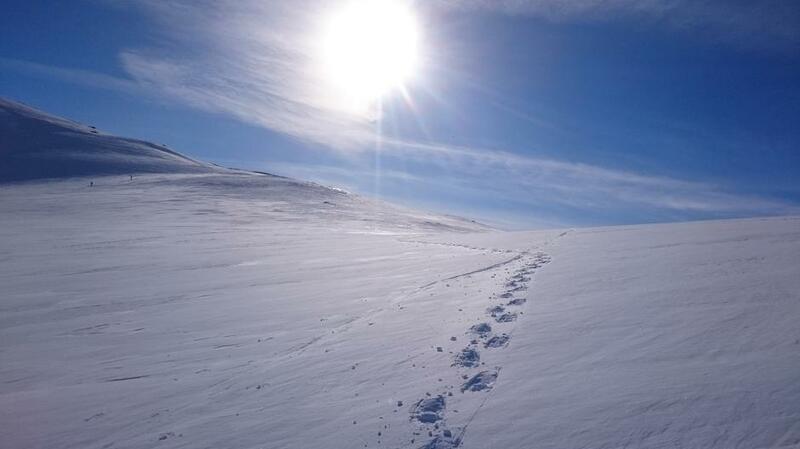 It is also possible to use Finsehytta as a base, and explore the areas surrounding us. 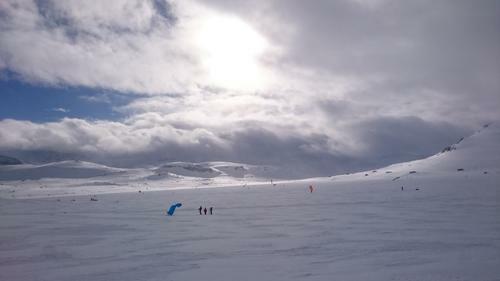 It is not only a nice place for cross country skiing, but the mountain wind makes Finse a popular place for kiting. 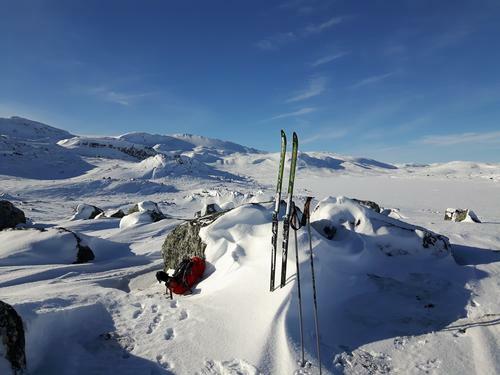 If you are not interested in any kind of skiing, you can borrow snowshoes from Finsehytta, and enjoy the beautifull winter landscape by walking. Appelsinhytta is a little cottage owned by the Finse Red Cross. 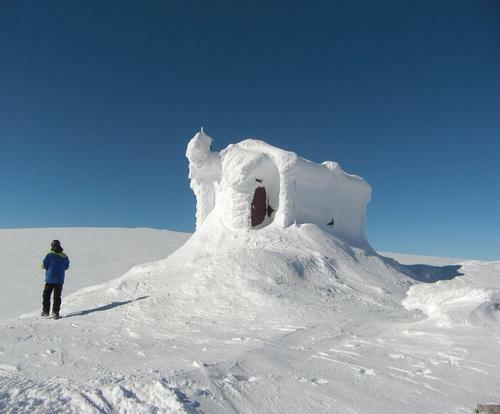 It is about 5 km from Finsehytta, and it is located next to Hardangerjøkulen (the glacier). It is a nice trip which does not require expert skiing skills. Suitable for children as well as adults. The route is marked (follow signs to Hardangerjøkulen), and starts flat, crossing the lake in Finse. After the lake the terrain varies between flat, uphills and some downhills. On a nice weather day it is a perfect place to sit and enjoy the sun and a hot chockolate. The cabin has a room where you can find shelter if it is to cold to sit outside. It is not any serving there, so bring a nice pack of lunch, and a thermos with hot drink. CLOTHING AND NECESSARY EQUIPMENT: Remember that weather conditions in the mountains changes fast. Cold temperatures, wind and snow can be a challenge. Have a look at DNTs advise list to get tips about what is necessary to bring, to make your hike a nice experience. Always check the weather reports before going into the mountains. A lot of kiters come to Finse. The lake is some days full with colors from the kites. It is a beutiful view. 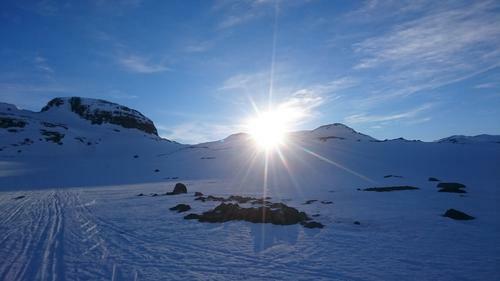 If you want to try ski sailing, Finse 1222 are arranging some courses during the winter. We have some snow shoes that our guests can borrow. 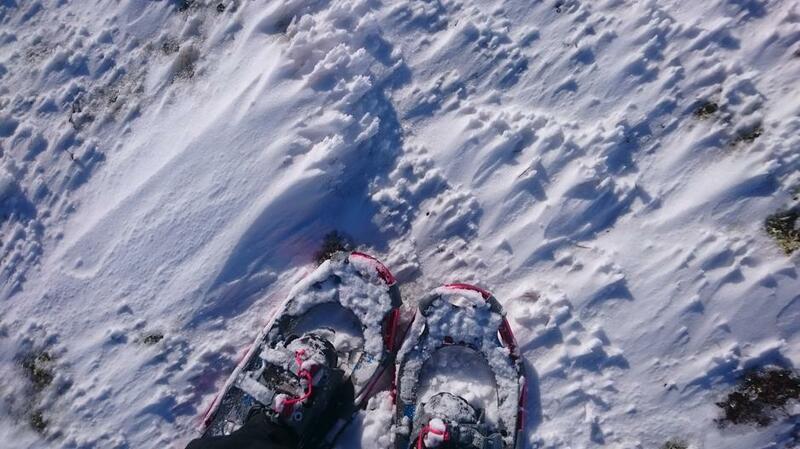 It is not so easy to walk in fresh snow without skis, but snow shoes makes it possible. It is a good alternative for the ones that do not wish to go skiing. Take a nice walk across the lake, or enjoy the magnificent view from litle Finsenut. 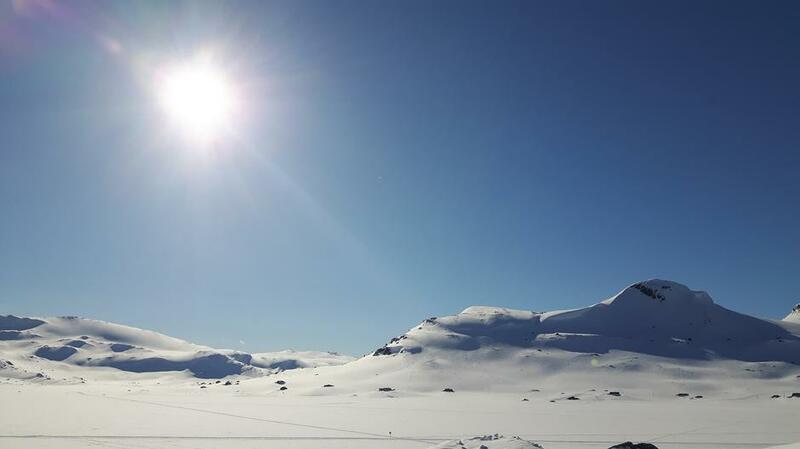 It is possible to rent skis in Finse. The ski rent Ski Sail 1222 is situated at the train station. For more information please have a look at their web page. AVALANCHES: Avoid areas where you can risk getting caught in an avalanche. The marked winter routes are safe, but if you go outside them, you need to know about avalanche terrain. Visit www.varsom.no to learn more about the subject. They are updating the danger degree on avalanches in different parts of Norway. Finse is in the Hallingdal region.